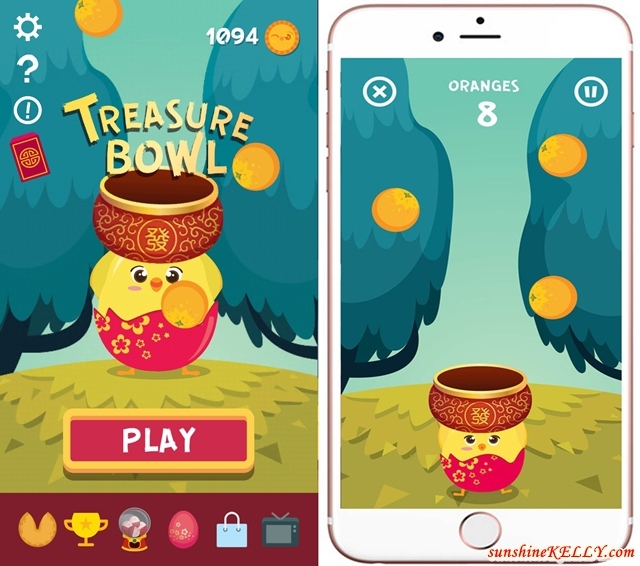 You can laugh out real loud on then HAHA Metre, awe your loved ones through e-greeting videos via Picture Perfect and gather around and cheer each other on by playing our adorable mini games like Treasure Bowl and Gold Rush. 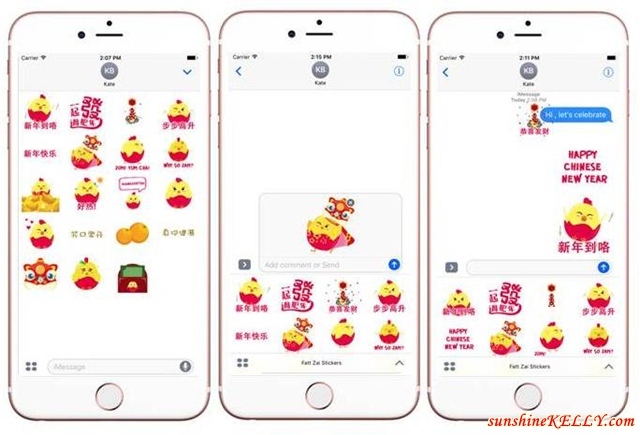 Don’t forget to watch the music video 《一起發过肥年》, which is just a tap away. 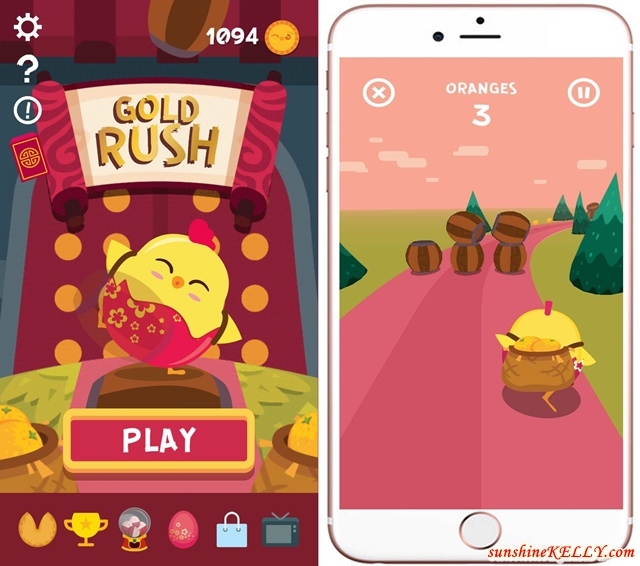 Let’s play and earn coins! On the app and laugh to the microphone to score points. 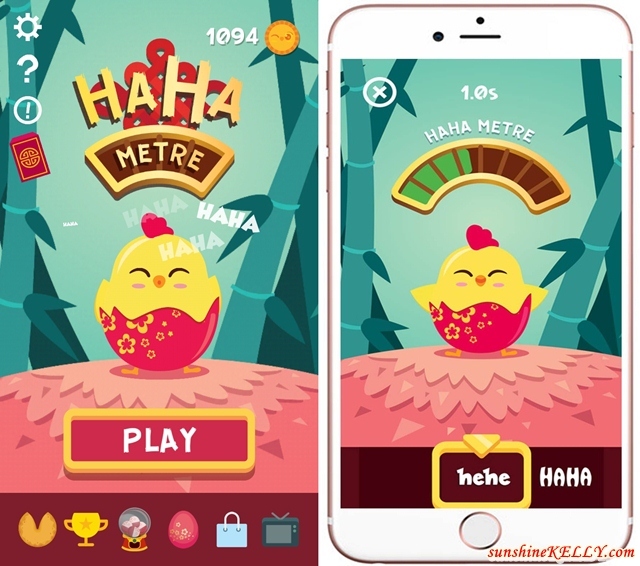 The Metre will fill up based on how loud we laugh, the louder the higher the score and coins earned. We can repeat again and again too plus change the filters for added effect too. Come laugh out loud and share the joy on Facebook, Twitter, YouTube and Email too. 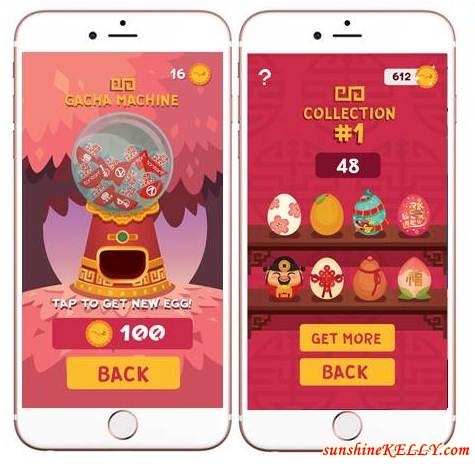 Just swipe our finger to the left or right to move Fatt Zai around, try to collect as many the oranges and avoid all the bombs plus collect special TOTO orbs for bonus points. Coins earned. Just drag our finger left or right or up to move Fatt Zai around, try to collect the oranges and avoid the obstacles plus collect special TOTO orbs for bonus points. Coins earned. More good news! From 27th to 30th Jan, when you play the games the coins earned will be double up and higher chance to get rare eggs. So do make sure you download the app now, play hard and win big! Wahhh!!! see you at the leaderboard! Besides that there are also fun features like e-Greeting. Now we can send e-Greeting to your loved ones with 8 filters available. Share it on Facebook, Twitter, YouTube and Email to earn coins. Let’s start to share more the joy messages. 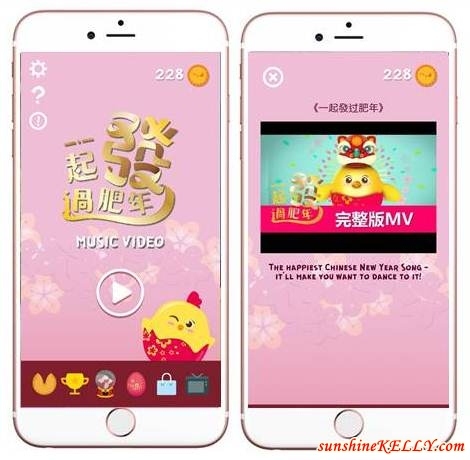 Here is the Media Prima CNY MV 一起发过肥年 you can watch more than a minute to earn coins too. 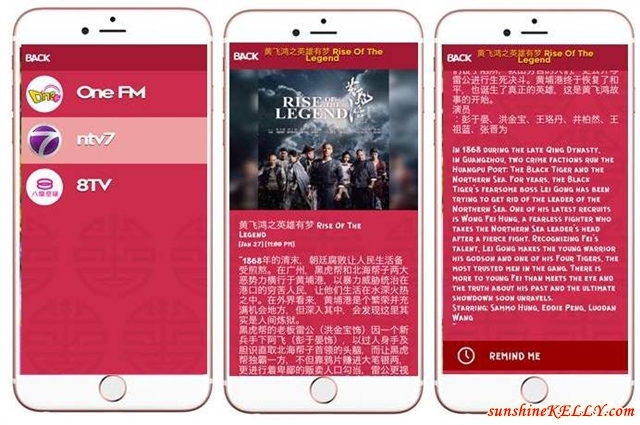 CNY Special Program Listing from One FM, ntv7, 8TV. Not to miss out our favourite shows, we can also set a reminder using the app. When the show time is approaching the reminder will pop up. At the app bottom left there is Fortune Cookie. Tap on it to reveal your lucky number of the day. Good luck yo! Overall I enjoyed playing all the fun games and will continue see I can make it to the leaderboard. The app is simple and user friendly, the moment you download it you can figure out how to go about it. Alright that’s about it! Don’t forget to download Fatt Zai App at http://bit.ly/Download_FattZai and start to play hard to win big. Remember to catch the CNY Bonus from 27th till 30th Jan, 2017 when you play the games the coins earned will be double up and higher chance to get rare eggs. All the best! Looks so fun!!! Its a great game which suits the season! Hahah that little chick is soo cute! I must download it and hoping to get my lucky number for this year.. Hhmmm maybe I will use that number to buy lottery ticket! OMG the graphic is way too cute! Plus we can win some big prize by simply just download and play the game, will check this game out! Happy CNY my dear!! What an entertaining app to pay and earn. Am interested and will download later tonight. Thanks for the alert!! Interesting game!!! Looks like pokemon's got a serious competition!!! This is interesting. I wonder what merchandise are they giving away. I don't think it's applicable in my country though. First time seeing this app! I should try it soon =) Thanks for sharing. They really have cute games and even better apps. It's loaded with features. It's so cute! Looks like the guji guji from Singapore's Mediacorp song~ so did you managed to win anything? 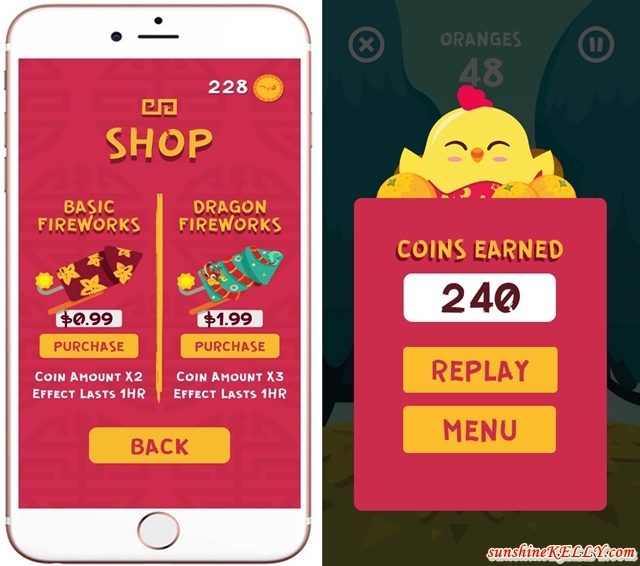 Wow, even Chinese New Year has a game app! Now I've seen everything. The graphics are cute. Kids will surely like this. It seems to be really funny, I'm going to download the app! I didn't know about this app. It looks so much fun. Good to use it during LNY for sure.